It’s a sweltering afternoon and on a quiet London side street, outside an impossibly chic bakery (it’s where Meghan and Harry had their wedding cake made), academic, author and former-model Emma Dabiri is taking a well-earned break from working on the final manuscript for her forthcoming book: Don’t Touch My Hair. Before we meet I half considered this a slightly redundant admonition for polite society – why would anyone, bar someone with latent Harvey Weinstein tendencies, touch a woman’s hair unbidden? – but, in person, you can see where the temptation might arise. In this most genteel of settings, Emma’s hair is an event, a happening, a lustrously-beautiful nimbus that frames her fine features. Curiosity and generations of cultural racism seem to spur the urge to pet it, stroke it. I heroically resist, but others are not so strong. Growing up in Dublin, it happened all the time. It was constant. Often kids would just say “oh my God, look at her hair, it’s mad” and come right over and have a feel and a chat”, she recalls. “It felt strange and objectifying. I found it strange because I wouldn’t even touch someone’s dog without asking them. I never questioned all of the treatments (that are used to ‘relax’ black hair) but they weren’t always available to me because it’s difficult to get those products in Ireland. My mum would work in Liverpool or Manchester, and there you could get a curly perm, which is sort of like defined curls, rather than afro hair. “When I was about 14, I was at Wesley disco and across the dance floor I saw what seemed like a mirage – another black girl. So I ran across the floor and introduced myself and asked her about her hair, and after that her mum started braiding my hair and that sort of saw me through.” Emma was born in America, but moved from Atlanta, Georgia, to Ireland with her Nigerian father and Irish mother when she was a small child. In a Dublin in which Phil Lynott and Kevin Sharkey seemed like the only two black people, her difference was conspicuous. So acutely was she aware of her difference that, with her mother’s blessing, she skipped out on her Holy Communion to write a treatise on slavery. The stereotyping she experienced here came in various forms, but the one that irritated her the most was the presumption that in particular ways, she benefited from her difference. “I tried to say I had done nothing to set me apart as an object for scrutiny. She was intensely interested in English and history, but not particularly academic otherwise, and bullying and other issues caused her to move schools several times. She names a string of private girls’ schools she attended and says that the classism she experienced as a student from a working-class area sometimes blended with the low-key racism of the more well-heeled suburbs. One of these was a stint she spent in Atlanta, where her father had gone to college and where she became enchanted with the culture. She wanted to follow in her father’s footsteps but the prohibitive tuition fees stood in her way. She wrote, constantly, in those years, but for herself, rather than for publication. She went to SOAS University of East London and did a degree in African studies and imperial studies, followed by a master’s in violent conflict and development. After university she did stints in Japan and Ghana, where she worked for an aid organisation. Her partner, and the father of her son, is a music journalist but she tells me that she is wary of naming him because of the surprisingly large contingent of trolls who follow her online – Google her name and one of the first things that pops up is a man on a long, sinister video rant about her. She thinks that part of this is due to her steadily rising-profile – she has written columns for The Guardian and has a new episode of the BBC series Britain’s Lost Masterpieces airing later this week – but that part of it is specific to England. “When I talk about race, I’m not even saying anything all that original – a lot of it is pretty conventional wisdom, but the reality is that a hell of a lot of people do not want to hear a black person talking about race. Here, there is a far bigger pool of people who’ll say ‘if you don’t like it you can just F-off back to Africa’. I think my Irishness confuses and enrages them even further. I think being a woman is a big part of it. Men who talk about race would say that to me too. As for whether she feels ‘more’ Irish or Nigerian, “people often ask me that. To me, it’s not a relevant question. First of all, I was born and raised in Ireland, but really I don’t feel I have to choose. I identify as both black and Irish, it may be unusual – although happily increasingly less so – but the two are not mutually exclusive! “In fact, I feel very lucky to be from two such rich cultures. I am very proud of both. I certainly have had a complicated relationship with it and I definitely had to leave, in order to get a better sense of myself, to be somewhere else where I was just ordinary, where my race wasn’t a constant point of note, but at the same time, in those environments, my Irishness made me different. Sinead’s TED Talk Why Design Should Include Everyone racked up 1.2 million views online and Vogue recently named the Irish woman as one of the 25 most influential and aspirational female figures working in Britain. The author and campaigner became the well-recognised face of a movement to educate designers on how to be fully inclusive, in fashion and beyond. Dawe is an advocate for gender equality and the role of arts in society. 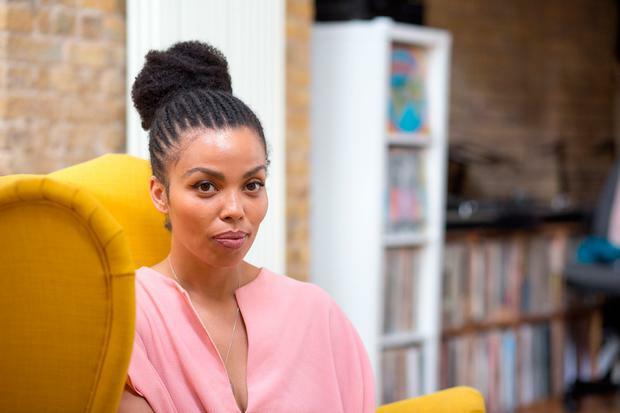 She has carried out research on ‘Waking the Feminists’ and is now working with the Abbey to develop a diversity and equality strategy for the National Theatre. As such she is one of the most interesting new feminist voices in Irish media. It was Catriona Crowe, former head of special projects at the National Archives, who first revealed the extent of the illegal trade in babies during the mid-20th Century, taken from Irish mother-and-baby homes and given to Catholic couples in the UK and US. That was in 1996 and since then Crowe has become a formidable activist and campaigner.